On Memorial Day last year, over 50,000 runners blanketed the city of Boulder as they competed in the Bolder Boulder 10K. Elite runners from across the globe, top wheelchair competitors, and thousands of everyday citizens sweated through 6.2 miles as they attended one of the largest and most popular races in the country. While the race usually comes down to a sprint at the final stretch of Folsom Field, and hundreds struggle from the heat, cramping, injury, and altitude, most finish with a smile. The stories are usually written about Olympian athletes and their ability to overcome obstacles. Well, I’ve had obstacles too. 2007 – Running in the race with my three-year-old, I survived seven trips to the Porto-Potty, multiple stops for cotton candy, and other major distractions, while carrying my daughter on my shoulders up Folsom Avenue in order to make it to the stadium just minutes before they closed it off for the elite runners. Try that Meb! 2009 – Made the dumb mistake of going on the Slip-N-Slide chest first about a mile into my race. 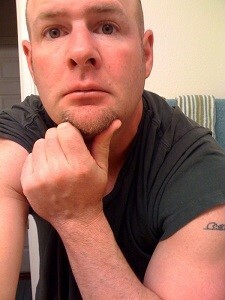 It was fun, but it was also forty degrees that morning and I was totally sober. 2012 – I was a little freaked out as a man in a toga outfit walked over to my fifth-grade daughter and struck up a conversation just before our family was about to run the 10K. Fortunately, the man ended up being her math teacher. Only in Boulder. 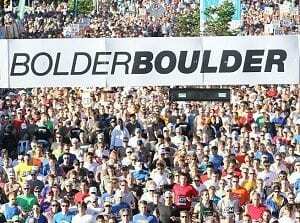 2014 – Running the Bolder Boulder is a bucket list item with the amazing outfits, fun-filled stadium, parachute jumpers, and athletic entertainment. Volunteering to drive family and friends to the start of the race is not. Streets are blocked off, highways are backed up, tourists are plentiful. Just park and plan on spending the day. 2016- The plan was to volunteer to work at the Bolder Boulder to raise a few dollars for our kid’s swim team, my wife would run the 10k in a later heat, and we’d spend a nice day in Boulder. Instead, the two of us opened Ultra-Light beer in the can for all the runners for five plus hours as our fingers bled from the non-stop procedure. People who survive that kind of stuff are the real winners of this race.